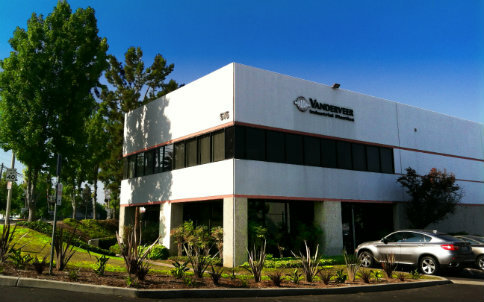 Founded in 1951, in Los Angeles, California, and currently located in Placentia, California, Vanderveer Industrial Plastics operates within a 29,000-square-foot modern machining space, filled with the latest in engineered plastics and CNC equipment. Operating within a productive, healthy environment, our knowledgeable and experienced machinists have paved the way for the production of complex precision machined plastic components and assemblies to satisfy a wide range of industries. Over the years, Vanderveer Industrial Plastics has earned a reputation for quality, dependability, and service in the world of complex precision plastic components and assemblies. It’s no coincidence that our reputation has evolved into what it is, as quality, dependability, and service are three of the four values that the company was originally founded on, integrity being the fourth. The commitment we have to the customer is ever present and has enabled us to grow from humble beginnings to now boasting a solid client roster of repeat customers, several of which can be found on the Fortune 500 list. The future at Vanderveer Industrial Plastics is promising, as we are consistently striving for continual improvement and implementing new technologies for use within the complex world of industrial plastics. We hold an AS 9100D certification and promise to you, our customer, to remain on the leading edge of the plastic industry.